My daughter, Lindsay, called asking if I was interested in doing lunch since she was off this Monday. So off we went to lunch in New Orleans. After much discussion in choosing a restaurant, we decided on John Besh’s flagship restaurant, Restaurant August. A 3-course lunch special at $20.13 is offered during the week. So the lunch special was chosen by both of us. We both chose the pork pate for our appetizer course. 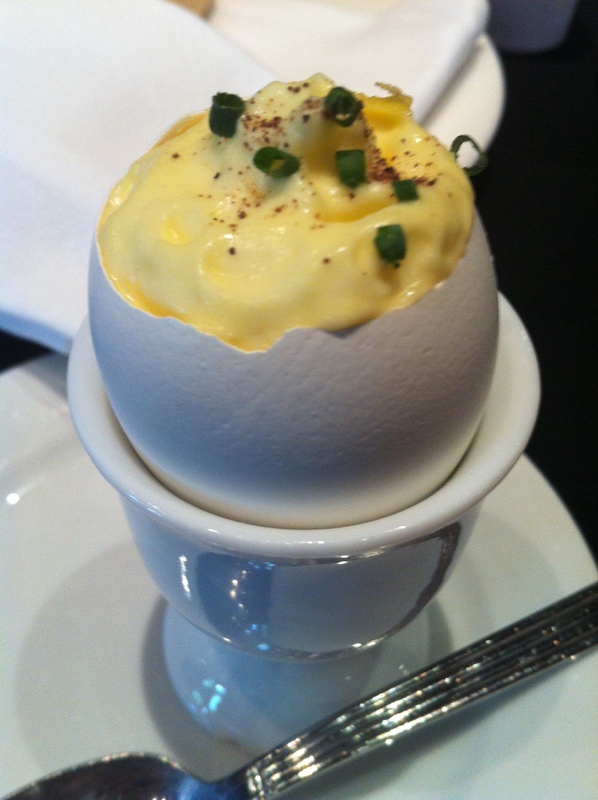 Before we received our pate, a cauliflower pureed cream presented in an egg was sent to our table as an amuse bouche. Very nice. 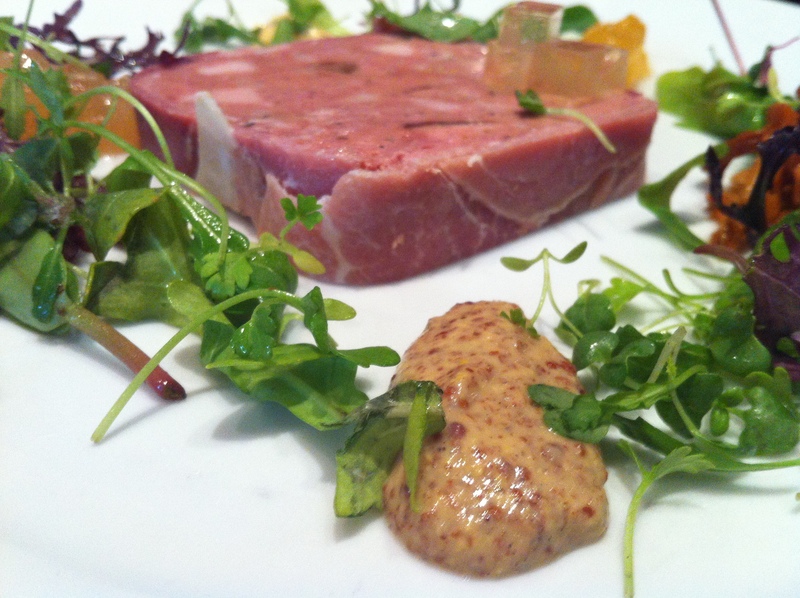 The pate with brioche was excellent. For our entree, Lindsay chose the fish course, which was sheephead with brown rice and sauteed vegetables. 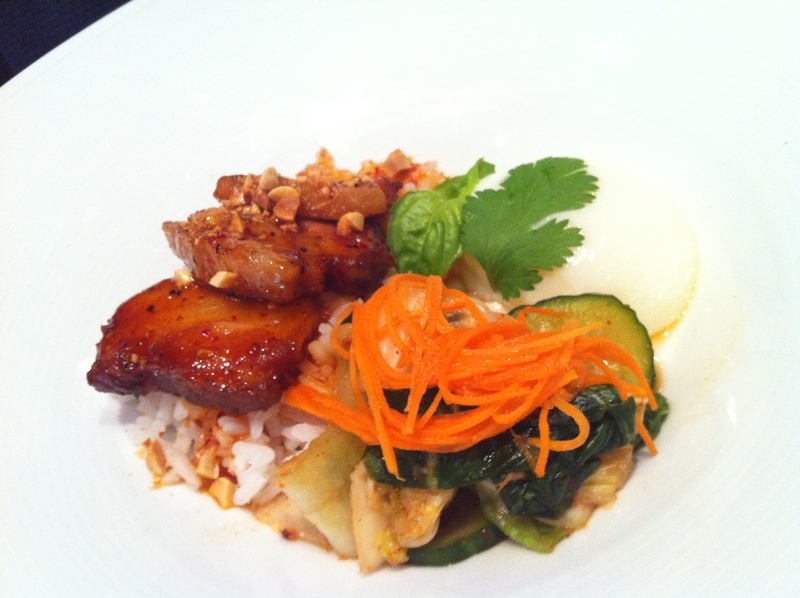 I had the pork belly with jasmine rice and kimchee topped with a poached egg. For desert, my daughter had a deconstructed strawberry cheesecake with creole cream cheese. She was very happy. 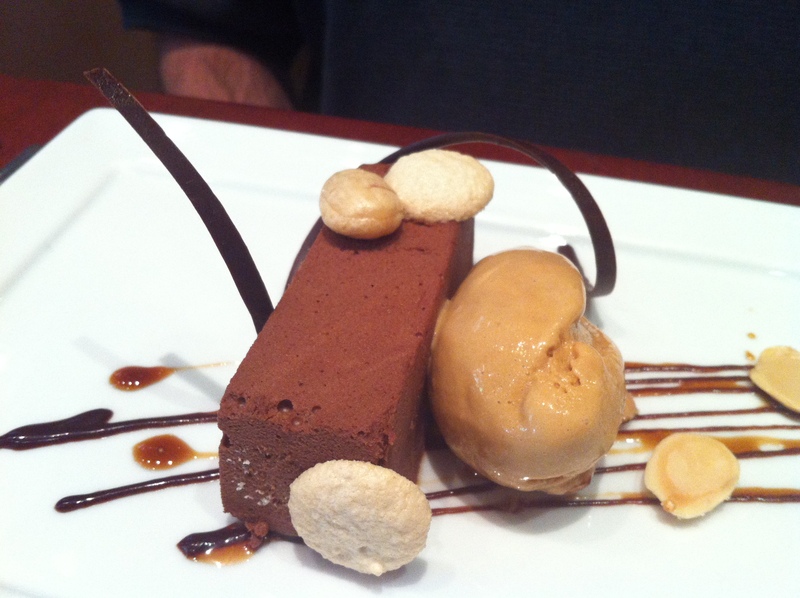 My desert was a chocolate mousse with caramel ice cream. After desert, we were given complementary praline and chocolate. A beautiful restaurant, impeccable service, and a very nice meal made us very happy campers. What a lunch bargain at $20.13! We recommend it very highly.